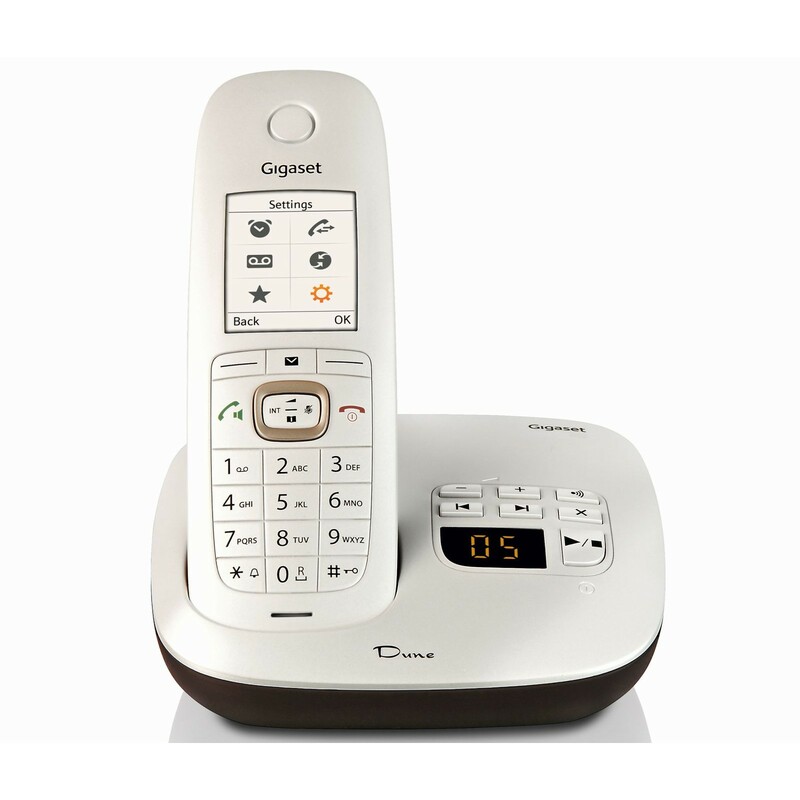 Designed with lovers of contemporary style, the Gigaset Dune CL540 features an appearance inspired by nature with its clean and smooth pearl finish and elegant contours. The backlit colour display provides two background themes and a range of screensaver options as well as an easy-to ­use icon ­based navigation, and with a backlit keypad, you can easily use the phone in the dark. 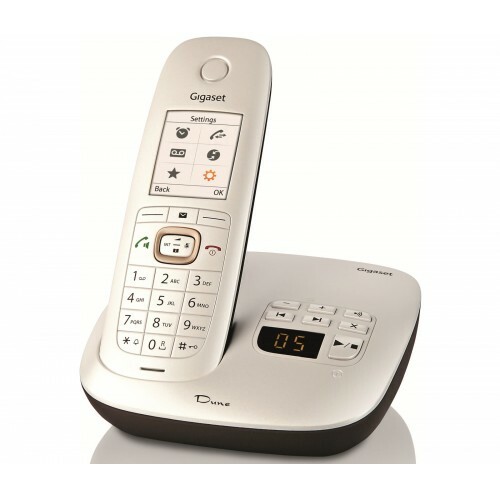 Not only does the Dune CL540A look the part: it also offers a comfortable and ergonomic design including a soft­touch circle on the rear of the handset and a rubber foot you to stand the phone upright while using it in hands­free mode. Providing an innovative range of features to simplify call management and more, the Dune CL540A is also exceptionally ease to use, and it includes an address book providing space for up to 200 contacts. Navigating through your contacts and entering new ones couldn't be easier either, thanks to the flat, ergonomic keypad and the elegant TFT colour display. For even greater convenience, you can program two direct access keys on the handset to take you directly to your favourite functions. 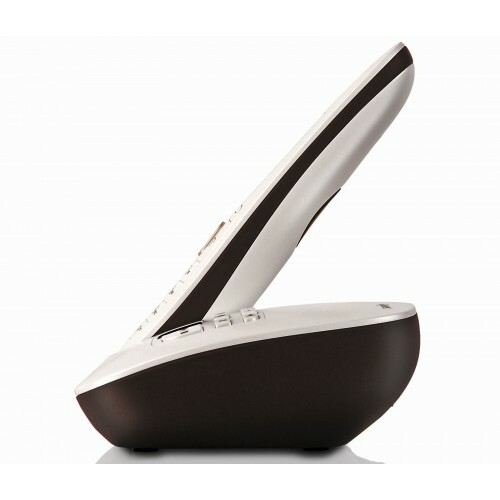 This model provides a digital answering machine offering up to half an hour of recording time. 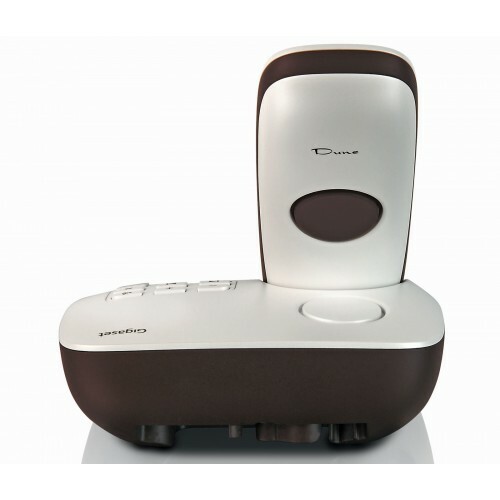 Integrated into the base station, the answering machine is accompanied by a simple set of controls and a display showing you how many messages you currently have in your inbox. The Dune CL540A also features a baby monitor app, allowing you to use the handset to keep up with your children by calling you when they wake up. 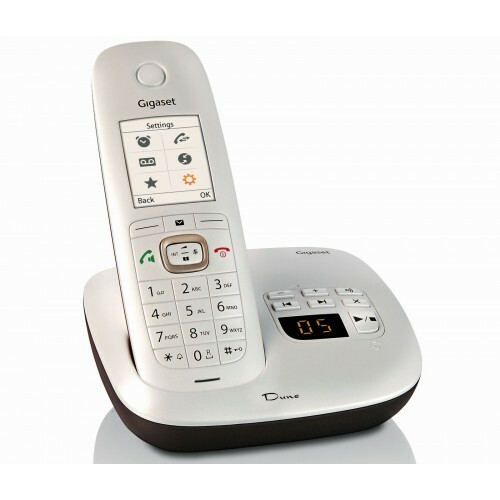 The Dune CL540A is an excellent family phone for those who treasure style, ease of use and functionality.